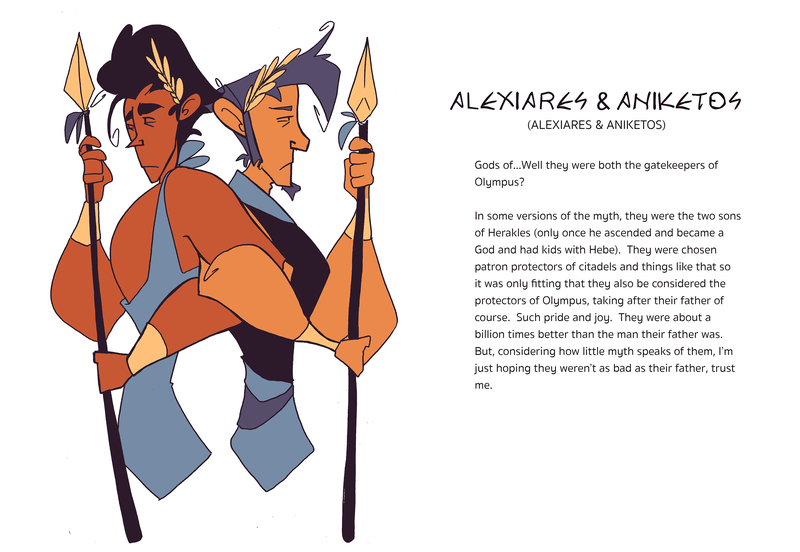 Gods of…Well they were both the gatekeepers of Olympus? In some versions of the myth, they were the two sons of Herakles (only once he ascended and became a God and had kids with Hebe). They were chosen patron protectors of citadels and things like that so it was only fitting that they also be considered the protectors of Olympus, taking after their father of course. Such pride and joy. They were about a billion times better than the man their father was. But, considering how little myth speaks of them, I’m just hoping they weren’t as bad as their father, trust me.